The fabric has been designed to give the look of a Natural Irish Linen design. All standard napkins and tablecloths have a '5 cm Clifton hem' on all four sides giving a classic look. 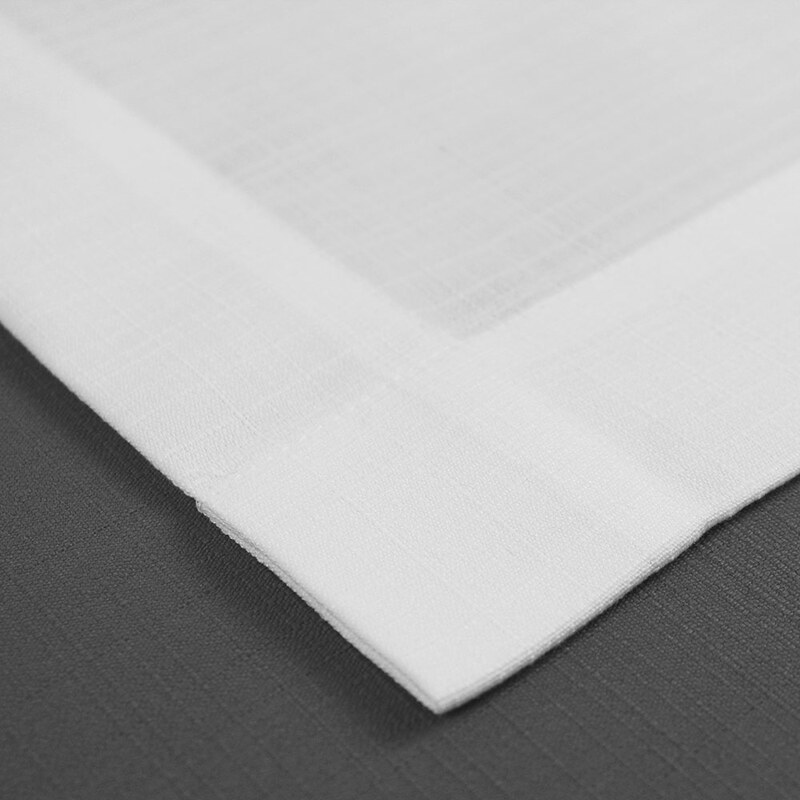 Circulars tablecloths have an over-lock bulk stitched hem. High performance, long lasting material, low shrinkage and easy laundering. "Feels Like Linens" - Linen Weave Design. Linens Weave - Napkins and Tablecloths. Photo below shows a close up view the '5cm Clifton Hem' in white.